If you have oversized or oddly-placed windows, it can be difficult to find window treatments that fit your needs. Or maybe you’re looking for the perfect color to match the pattern in your sofa, or you want to make your shades the focal point of your room with a stunning print. How can you make your vision come to life? With completely custom, handcrafted shades, blinds, and draperies, we can create the ideal window treatment for your space. Our products are handmade in our state-of-the-art workrooms throughout the USA, which means we have higher manufacturing standards and better quality control than any off-the-shelf options. In this post, we’ll focus on custom roller shades, a simple and sleek window treatment solution for almost any room in your home. Picture windows, banks of multiple windows, and even some doors can be large and difficult to dress. 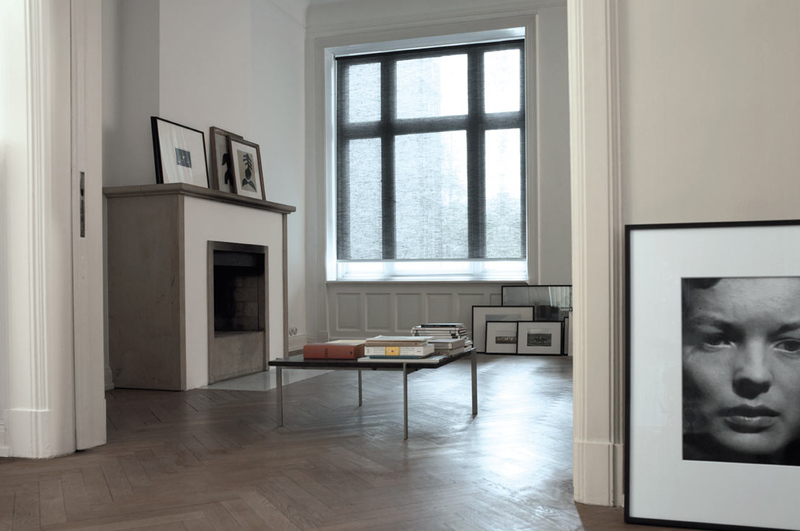 At The Shade Store, our roller shades can be made in any width from 12” all the way up to 132”. With very wide roller shades, we do recommend the continuous loop chain control, which makes the shades easier to raise and lower. Looking for gorgeous, high quality fabrics from top designers? Then our Chilewich designer roller shades fit the bill. Husband and wife team Sandy Chilewich and Joe Sultan are the masterminds behind the Chilewich textile brand, which produces textiles for placemats, floormats, and many more applications. The Chilewich collection for roller shades features 4 exclusive materials available in 18 colors, and protects your interiors with UV and fade protection. For jaw-dropping prints and a wide variety from which to choose, browse our Prints collection for roller shades. With 28 materials and more than 120 colors, you’re sure to find the pattern that matches or accents your décor. We have subdued prints such as Lotus and Broadway, florals like Bloom and Cherry Blossom, and lively colorful patterns such as Wave and Zig Zag (just to name a few). Order as many free swatches as you like to test these fabrics in real life. We believe that craftsmanship matters, and we want your custom roller shades to exceed your expectations. We stand by every product we make with our Satisfaction Guarantee. Every shade is hung and tested before we ship it to you. With us, you get all of this attention to detail and quality, and your custom shades will still ship for free in 7 days or less. Give us a call or talk to a design consultant in one of our nationwide showrooms to get started building your custom shades today.